Steve Nichols has been an avid wartime aviation buff, artist and modeler since childhood. 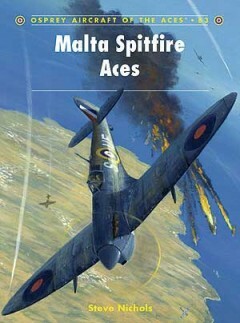 This book is the culmination of many years researching the RAF in World War 2, and in particular its involvement in the siege of Malta. A member of the Bomber Command Association and the Eighth Air Force Historical Society, Steve was writer, illustrator and historical consultant on two award-winning documentaries on the United States Eighth Army Air Force. He currently lives in Kansas City, Missouri, where he teaches High School History and Art, and also works as a freelance illustrator/graphic designer. This is his first book for Osprey.